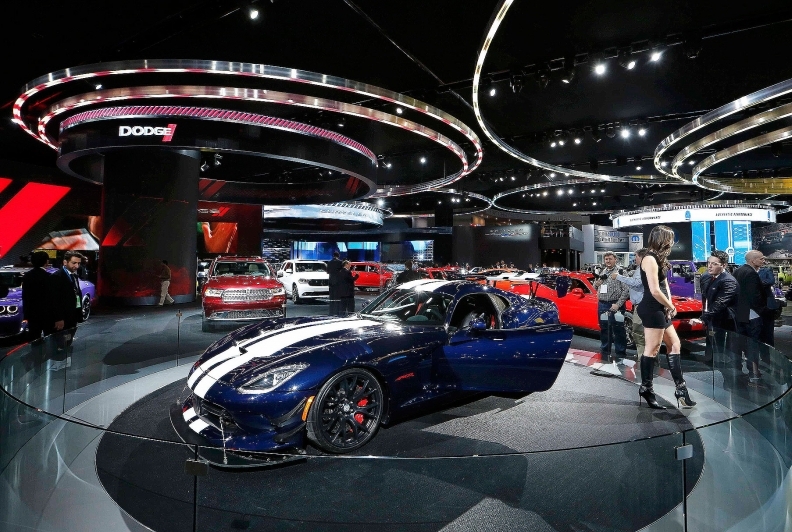 Fiat Chrysler had one of the most sophisticated displays at the 2016 Detroit auto show. DETROIT -- Fiat Chrysler will not hold a press reveal of a new or refreshed vehicle at the Detroit auto show in January for the first time since 2010, choosing instead to hold a press conference at the Consumer Electronics Show in Las Vegas six days earlier. It is unclear what FCA will reveal at the CES at its Jan. 3 press conference or whether it’s a vehicle, such as the 2018 Jeep Grand Cherokee Trackhawk, or a significant technology update, such as its long-awaited 2.0-litre Hurricane I-4 engine. Both are expected to be revealed in early 2017. The consumer-oriented show in Las Vegas has become a popular display venue for automotive innovation in recent years. For example, this year, Ford Motor Co. used the CES to reveal updates to its infotainment systems and developments in its push toward autonomous driving.